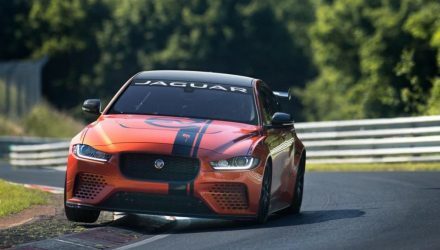 Jaguar’s 322km/h XE SV Project 8 has been unveiled before its official debut at the Goodwood Festival of Speed this weekend. 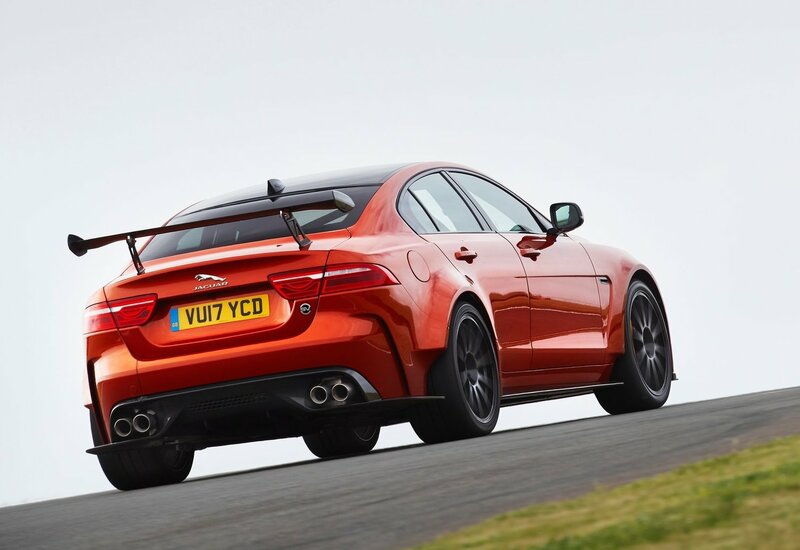 From its rip-snorting 5.0-litre supercharged V8 comes 441kW at 6500rpm and a torque rating of 700Nm between 3500 and 5000 rpm, sent through an eight-speed ‘Quickshift’ automatic transmission, which can change ratios in 200 milliseconds, as well as all-wheel drive. 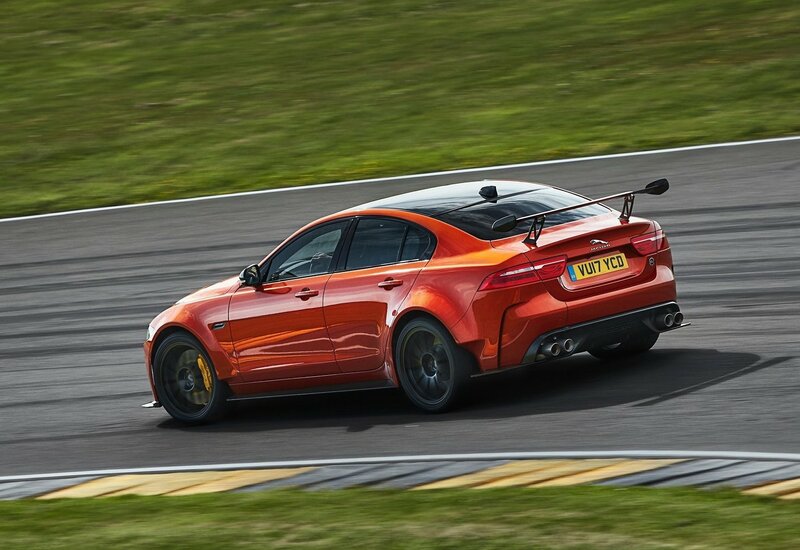 The aerodynamic aids of the Project 8 are obvious, with a unique front splitter and heroic rear wing, plus wheel-arch extensions and rear diffuser. 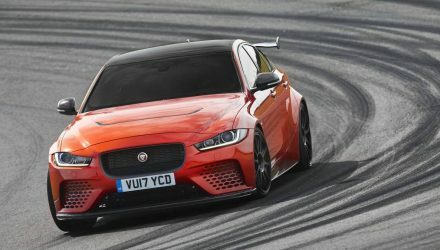 75 per cent of the bodywork is unique to the Project 8, including a carbon fibre bonnet which saves 3kg. 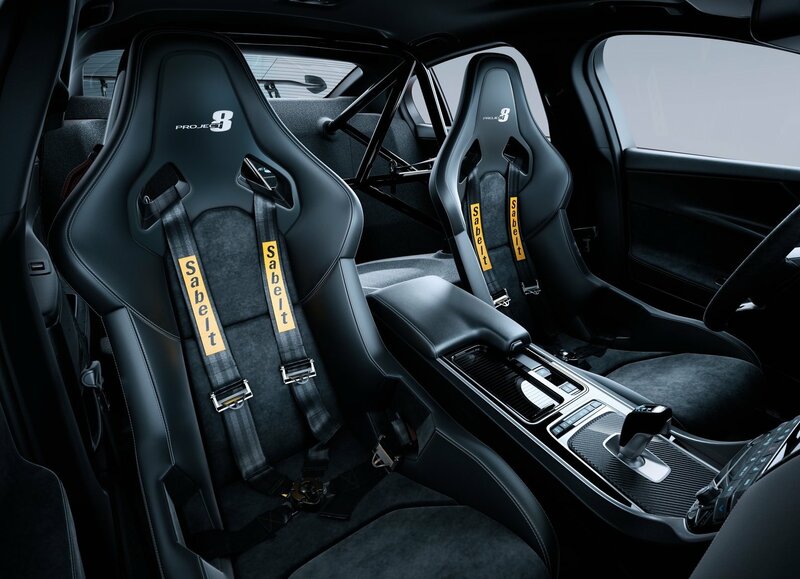 Even the rear doors are unique, with bespoke items needed to clear the 305-aspect tyres. 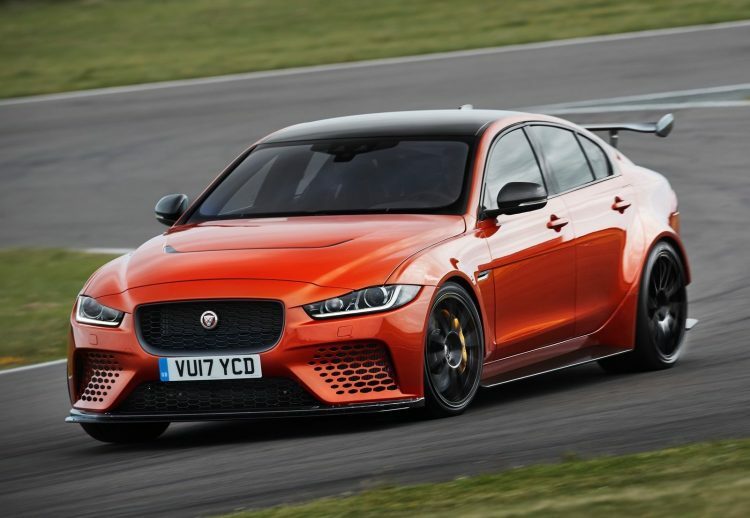 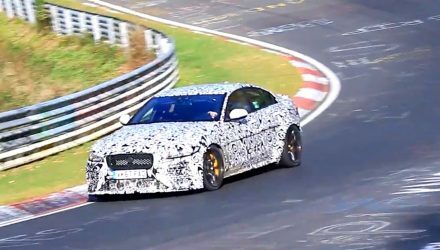 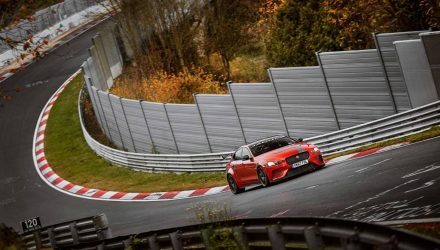 As a result of this madness, the Project 8 can accelerate to 60mph (97km/h) in 3.3 seconds and 100km/h in 3.7, which makes it faster than any of its rivals and puts it on par with the Mercedes-AMG E 63 S from the next class up. 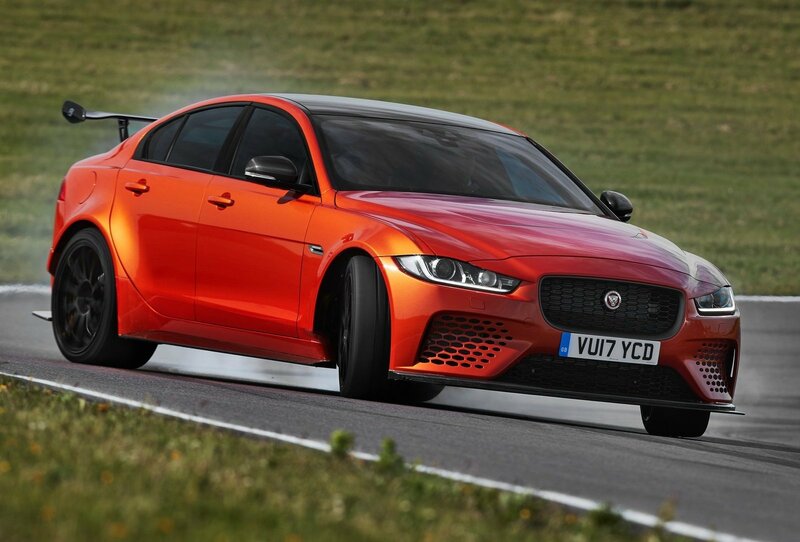 Unfortunately, the 300 allocated for production are all left-hand drive, meaning it is a non-starter for Australia. 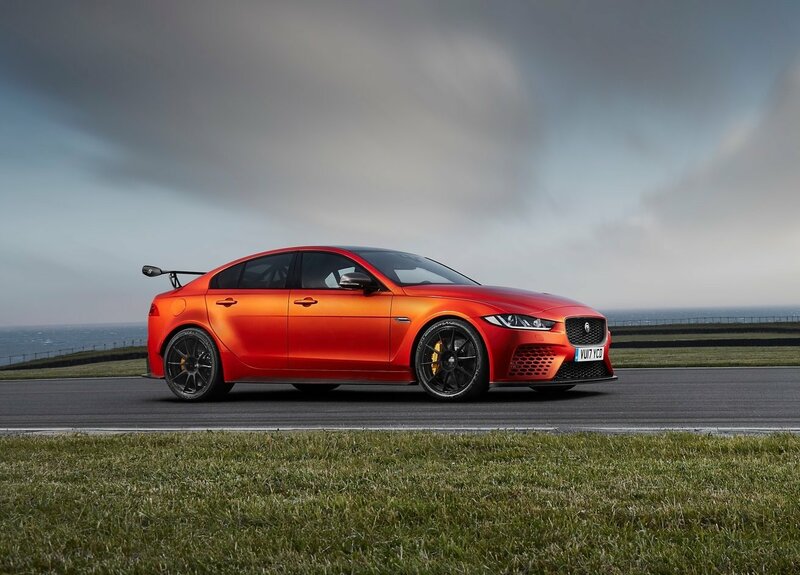 Still, we can dream from afar.